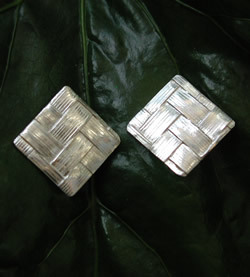 tejida square earrings Silverchilli - Beautiful fair trade sustainable silver jewellery from Mexico. 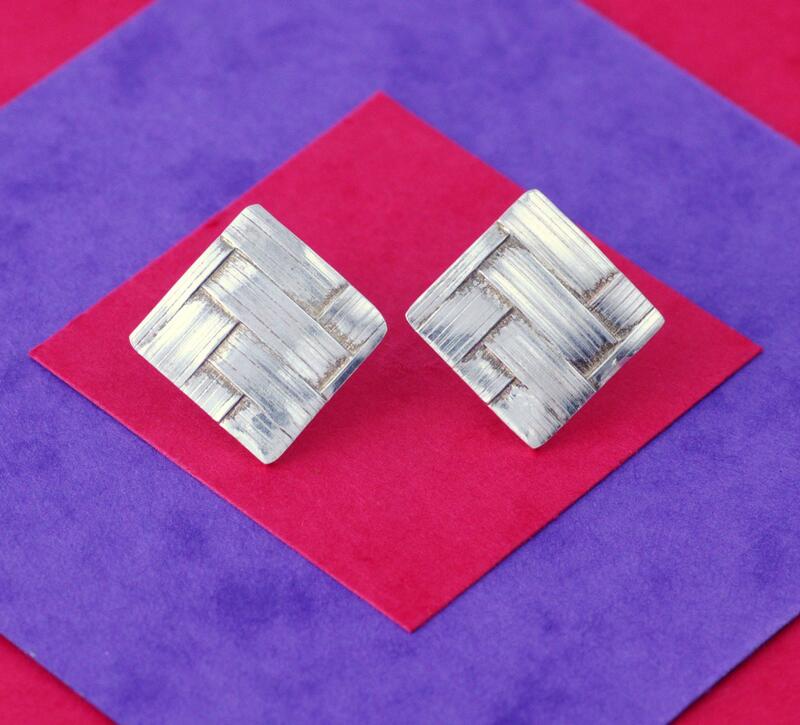 Beautifully textured woven shards of silver fasioned into a classic square design. Hangs diagonally. These earrings are 20mm high and 20mm wide.